We currently have 14 boys and girls living on the children’s home campus, ranging from ages 9-16. Each attends Travis County public schools with a goal of graduating and going on to college and vocational programs. In May 2016, one of CTCH's three graduates will be starting at Blinn College, another at St. Edward’s University, and the third will go on to an independent living skills program in San Antonio. The children play sports, including basketball, soccer, and volleyball through school teams and YMCA leagues. Some participate in school ROTC programs, as well as a variety of other activities. Spiritually, all of the children are involved in many church activities throughout the area. Activities include attendance at church, Leadership Training for Christ (or LTC), youth rallies, Bible Bowls, and Discipleship University. I arrived at the Central Texas Children’s Home when I was twelve years old. I had been adopted when I was younger, but at twelve my adoptive mother didn’t feel she could handle some of my needs. Mom needed an affordable place where I could live, get help with schoolwork, go on activities, and attend a Christian Church. Central Texas Children’s Home was the optimal choice. I only lived at CTCH for about 4–5 months. Elroy and Vickey Lamkin were my House Parents at the time. I really liked them because they made me feel safe and cared for. They treated me like family. The Lamkins would include us in the activities they did with their own grandchildren. Church was important to the Lamkins so they took us with them. I liked the singing and the friendly people. While at CTCH, I remember going to the movies, bargain shopping for clothes, playing kickball, and going to festivals. I remember that my House Parents tried to help me with schoolwork and other staff tried to help my mom be a better mother. I have fond memories of the Central Texas Children’s Home. Now I’m grown and planning to move from Texas to New York. I have friends there and plan to start fresh. I appreciate the Central Texas Children’s Home for their help at a time when my mother and I needed it. C. Ray and Keri McCurley are the Christian House Parents that live in the girl’s and boy's cottages. At any given time, they might be caring for 5-10 girls or boys. After an East Texas career in fire-fighting and medical rescue, they decided to dedicate their lives to serving God by caring for His children. Joining them in this work is their son, Cory. The McCurley family is directed by God, and remain a valued asset to the CTCH ministry. Dee and Jennifer Hawkinson, following decades of owning businesses and managing retail establishments decided to pursue their passion to help children in need. Having raised three of their own children, they packed up their bags and moved to the Central Texas Children's Home. Since arriving in October of 2017, they have given their care and love to the boys in Watson Cottage. Franky and Tosha Penney and their three children live a life of ministry to God. In November of 2018, they decided to share their love as a House Parent family at Central Texas Children's Home. The Penney's are House Parents for Sloan Cottage. They care for 5-8 girls as House Parents. Franky and Tosha enjoy children so much that they have worked with children at other children's homes and coached various children's teams through the years. Raul and Judy Ferris served as House Parents at CTCH in 2014. Prior to that they served for 14 years as both House Parents and staff at the Medina Children’s Home in Medina, Texas. Originally from Puerto Rico, as a young man Raul had a dream about two homeless little boys who were fishing for their dinner. This dream stayed with him, influencing the decision for Judy and him to become House Parents at CTCH. The dream became reality with two young boys at CTCH. Slowly and patiently he mentored these boys, making time for private reading lessons at 5am, taking them camping in west Texas, and always being there for them. With love and perseverance, he guided these children as they became successful young Christian men. 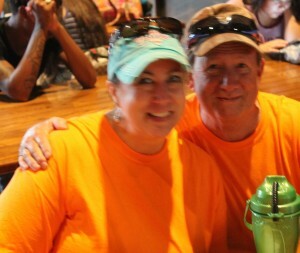 Charles and Shelly Goodnight were House Parents at CTCH for almost five years, from 2009 until 2014. They believe in teaching children about God by living in God. Charles was Church of Christ Minister for 38 years prior to becoming a House Parent, and the Goodnights have four adopted children of their own. Charles believes that to succeed as a House Parent, a couple should have both a strong marriage and a strong prayer life. Highlights for Charles with the children included seeing those special moments when “the light bulb came on,” watching the children grow physically, mentally, and spiritually, and baptizing five children into Christ. Shelly has fond memories of a young shy girl at the home who had a very troubled mother. Over time this young lady was able to develop self-reliance and confidence, and eventually was able to bring healing and reconciliation to her mother, resulting in a joyful reunion. She recalls having special nicknames for the children, and she remains in contact with several to this day. The Goodnights have fond memories of wonderful support from the community, which they were so thankful for. They would like to remind everyone how much it meant to the children to know that those in the surrounding area care about them. To learn more about becoming a house parent, please contact us at (512) 243-1386.